To make an earthen floor you need to add about 25% of finely screened clay to 75% sharp sand or crusher fines, with enough water to make something the consistency of a thick cake batter. Once this is thoroughly mixed, then several handfuls of chopped straw (several inches long) can be mixed in to help bind the material together and give the final floor some beautiful flecks of gold if desired. Once the initial pour has been leveled and troweled to get it roughly smooth, and it firms up enough to carefully put weight on it, the process of reworking the adobe with a steel trowel to press it further can begin. The reason for this is partly to force the pour into a monolithic mass, because the clay will shrink as it dries and form a network of cracks that must be sealed. Other reasons to press the surface of the adobe is to harden it for durability, and to bring the clay content to the surface where it can be polished (or burnished) to a lustrous finish. You can pour the adobe over in-floor radiant heat tubes, so that you can control the rate that it dries out; this can hasten the completion of a project by several weeks. It is possible to add thin layers of pure colored clay to the surface, and work this to a fine polish. Such a coating is called an elise, and this makes the process even more of an art form. The elise can be a swirling mix of colors, each of natural origin. It is also possible to add oxides or stains to the adobe to get a desired color. Pressing an adobe floor is very hard back- and wrist-breaking work. It must be done on the knees, with a lot of force and a specific technique to get the desired result. As the adobe dries out, it can be moistened with a spray of water to make it possible to continue to trowel it. The work is as much by feel as by look. 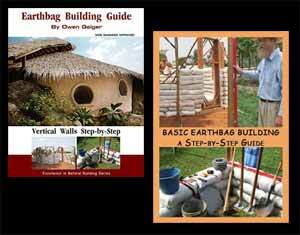 Straw and adobe are natural partners for passive solar home designs. The straw envelope creates thick, insulating walls that keep the warmth inside, and the adobe floors and mud plasters serve as thermal mass to store the heat and release it back to the space at night. When combined with in-floor radiant heat for backup, these simple measures provide great comfort. Hard work with good result, it is amazing how you do all this. How expensive is it? 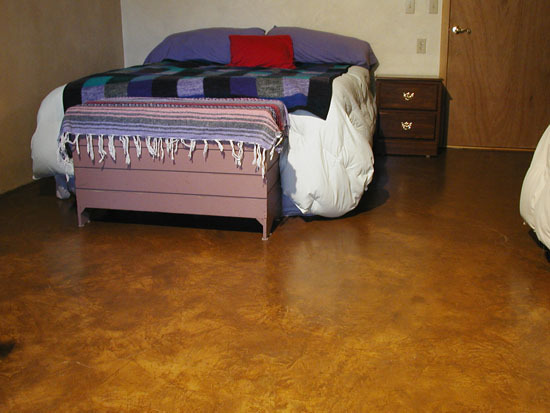 Adobe floors can be dirt cheap, even free if you have the right combination of soil on site.